You will discover Morpeth Bears on the ground floor of Morpeth Gallery, which is part of the Campbell’s Store complex in Morpeth’s main street. 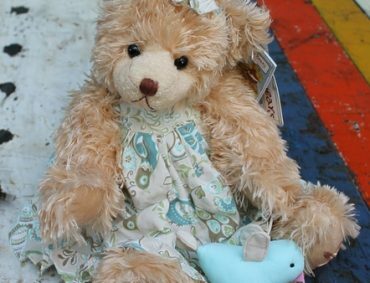 Morpeth Bears has been finding teddy and friends new homes for 21 years. The shop grew out of owner Shirley’s love of teddy bears. She’d buy one for her and one for the shop. As her hug grew, so did the size of the shop! 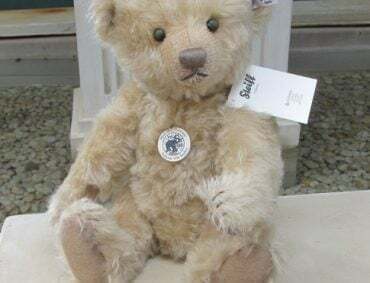 In 2000 Morpeth Bears introduced world famous German brand Steiff to Australia at a teddy bear fair held at Centrepoint tower in Sydney. For the first time Australian’s could purchase Steiff in Australia and become members of the Steiff club too. 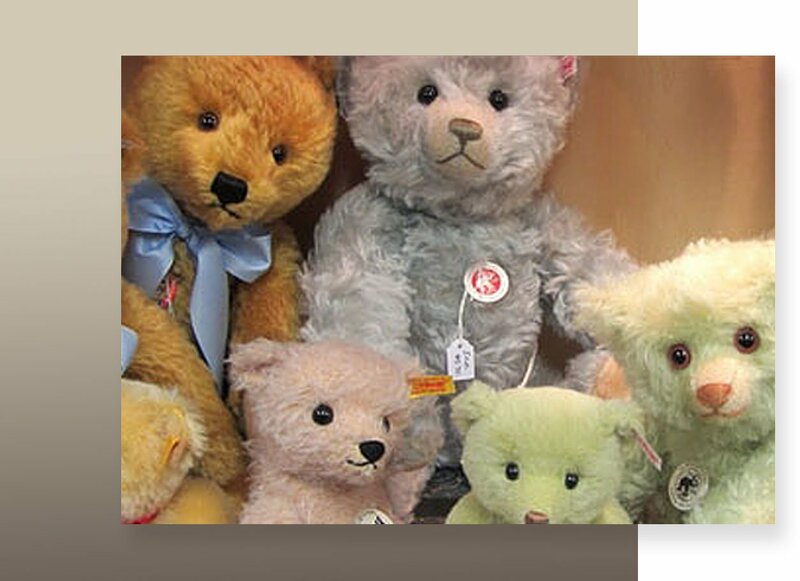 Morpeth Bears also stocks other German bear brands: Hermann Green, Hermann Red, Clemens and Schildkrot bears & dolls. 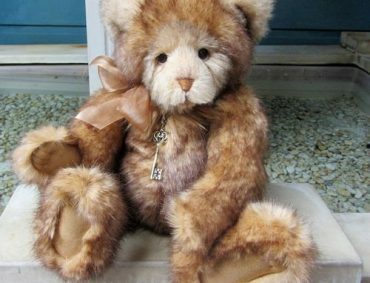 Large ranges of Settler Bears, Gund, and the hugely popular Charlie Bears also fill the shelves. Paddington Bear, Peter Rabbit and friends, Golliwoggs, Rag Dolls and cloth activity books for children are favourites, as well as children’s books, bear themed mugs, breakfast sets & Kewpie dolls. Silver Cross Prams, suitcases and a large range of Vintage Bears & animals may also be found in-store. Ooops, I almost forgot to mention sock monkeys… there are plenty of sock monkeys at Morpeth Bears, all lovingly made by Shirley from the original Rockford Red Heel Work socks, still made at Fox River in the USA. They’ve been making socks since 1880 – around 135 years! Purchase a pack of socks and have a go at making your own. We’ll gift you a step by step pattern to get you started. To discover Shirley’s personal collection of miniature bears & daughter Kylie’s collection of Golliwoggs and Steiff monkeys, head to the first floor of Campbell’s store via the ramp. They are featured in a new ‘Cabinets of Curiosities’ display. Morpeth Bears is open every Thursday – Sunday & most public holidays (closed Good Friday, Christmas Day & Boxing Day). 10am – 5pm. You can telephone us seven days a week.